Orange County got a sneak preview of the new, collaborative workspace that SAP’s Innovation Center Network (ICN) team and HanaHaus are opening in Newport Beach. 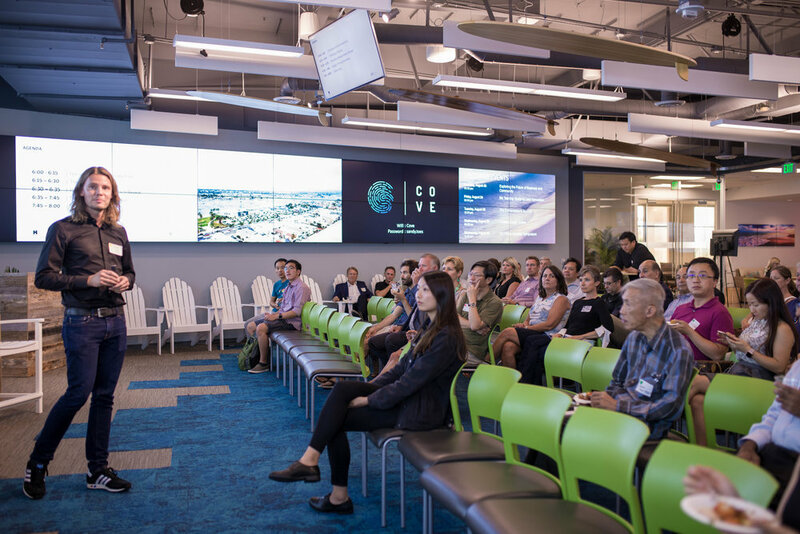 Last Thursday, August 23, the HanaHaus and ICN teams held a small kickoff event at the “The Cove”, at the University of California Irvine’s School of Applied Innovation. 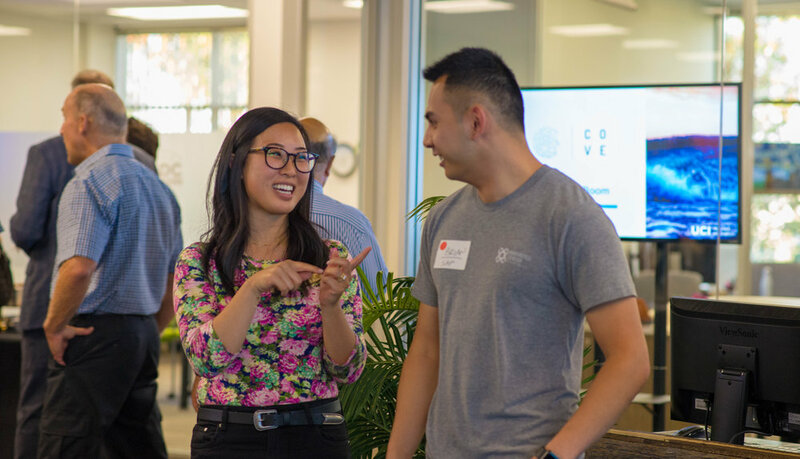 Approximately 55 people, from graduate students, to small business owners, to established investors, attended the two-hour event – the goal of which was to bring together members of the Orange County tech, investment, and academic communities. Daniel Zimmer, General Manager of the new location in Newport Beach, kicked off the evening and presented the first glimpses of the new building design and layout to the crowd. Then Kitty Huang, UX designer for the project, took the floor to deliver an overview of the design process that was applied to the creation of the new space. She covered the basic design principles, the concept of design thinking, and the importance of understanding the personas of potential patrons of this new kind of collaborative workspace in Newport Beach. Lara Redmer from the HanaHaus team then presented two design thinking exercises that the participants were invited to participate in as a group. The first was a “how might we” exercise, often used in design thinking workshops to help generate and cluster different ideas. 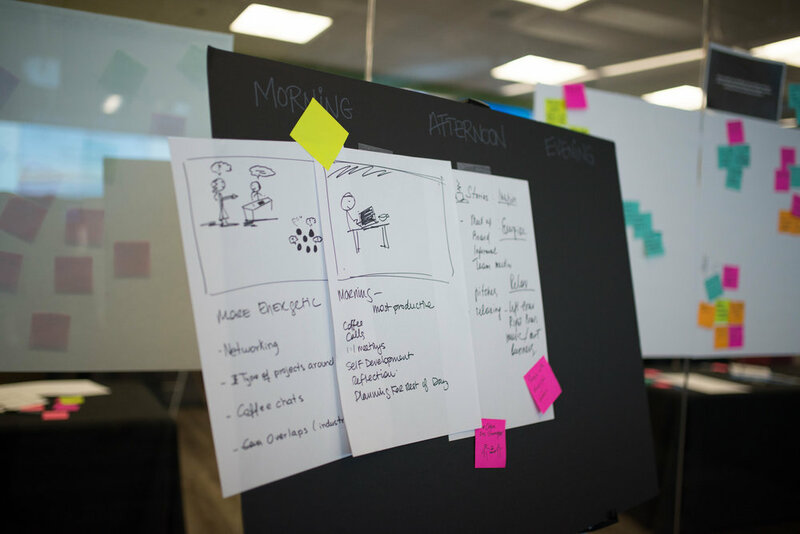 The second was a storyboarding exercise that is used to communicate and validate ideas and requirements. You can download the slides from all the presentations here. Attendees were broken into groups of five to six people where they collected ideas for different “how might we” questions related to the new, multi-faceted space. Moving on to the storyboarding exercise, each group applied some of the ideas generated during the “how might we” activity to how different personas might use the new, collaborative space. As mentioned during the event, we have clustered the findings of the exercises afterwards and you can download the presentation here. The energy in the Cove was so infectious that it kept people talking long past the scheduled end of the event – so, for the HanaHaus and ICN teams, this event was a clear indication of the type synergies and collaborations we will see at the ICN-HanaHaus space in Newport Beach. Great things are on the horizon for SAP and Orange County!